The attorneys of DeConcini McDonald Yetwin and Lacy Law Firm regularly provide educational seminars to various community organizations. Shareholder Attorney Peter Goldman was recently a guest speaker for two distinguished organizations located in Arizona. On September 10, 2014, Attorney Goldman presented on the topic “Valuing Intangible Assets” to the Arizona Society of Certified Public Accountants. The presentation and discussion focused on the commonly overlooked asset group in business, Intangible Assets including Intellectual Property and various approaches to their valuation in a variety of settings. Attorney Goldman also spoke to the Association of Fundraising Professionals, Southern Arizona Chapter on September 12, 2014. His presentation “Is your IP safe? IP in the Age of Social Media.” Goldman presented tips on how to protect intellectual property in the age of Social Media. This presentation dealt with the advantages and pitfalls of social media as they apply to small and large businesses alike. 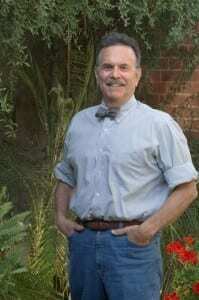 Peter Goldman is a shareholder in the Tucson office of DeConcini McDonald Yetwin and Lacy Law Firm. He is a registered U.S. Patent Attorney whose intellectual Property Law practice focuses on patent, trademark, trade secret, and copyright matters, including commercial law related to science- and technology- based issues.